Gerber's Answer SM with F.A.S.T. blade opening technology is a lot of knife in a small and compact every day carry package. Gerber &apos;s Answer SM with F.A.S.T. blade opening technology is a lot of knife in a small and compact every day carry package. Full fine edge drop point tactical blade. F.A.S.T. (Forward Action Spring Technology). Textured Inlay for secure grip in all conditions. 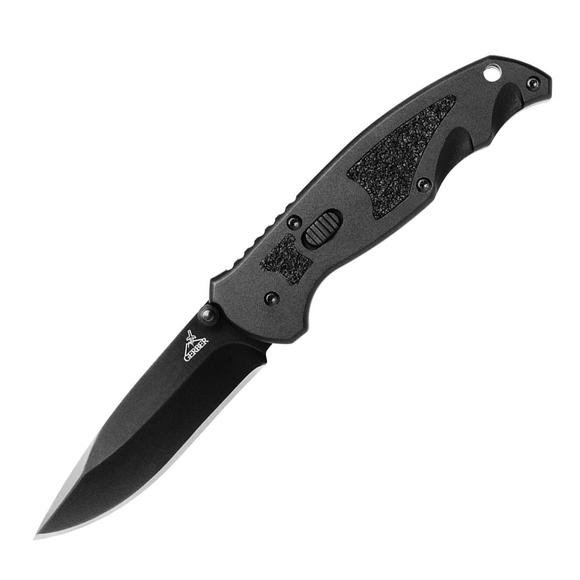 Black Anodized Aluminum Handle: lightweight and discreet. Forward Action Spring Technology allows lightning fast single-handed opening of the knife. Overall Length 6.3", closed: 3.8"